Sunday Quote!- Perspicuity of Scripture and your Study Bible | J.W. Wartick -"Always Have a Reason"
You see, many who disagree about science and Christianity in particular argue that the perspicuity of Scripture somehow solves the problem. Other times, Christians with disagreements about other issues also raise this doctrine as a kind of trump card. But Greenwood’s quote puts this usage in stark relief: if the Bible were so clear about things like the age of the Earth or other hotly-debated issues, there wouldn’t easily be so much debate, would there? Now, his point shouldn’t be overstated: simply having disagreement doesn’t automatically mean something is unclear. The point, however, is that the sheer amount of time and energy Christians have put into understanding some of these other issues demonstrates the depths of insight the Bible has for us. 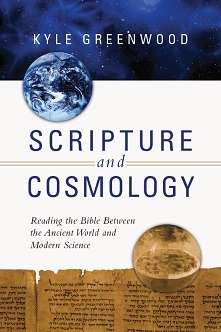 Scripture and Cosmology is shaping up to be an interesting read. I’ll share a review once I’ve finished it. « Really Recommended Posts 10/30/15- What do you know about Domestic Abuse?, apologetics, and more! Years ago, I read where a Puritan stated that one problem we have with scripture is its perspicuity. Because it is so clear, we are sure that we understand it. However, clarity can have a depth to it which we are ill-equipped to discern. A friend of mine was fishing on a mountain stream near Danville, Virginia. Looking down stream he saw a large rock on the other side and decided that that was where the trout would be/ He glanced down and determined that the stream in his area was only two-three feet deep. After all, he could see the grains of sand rolling along the bottom. He stepped off into the water and nearly drowned, because that stream was 18-20 feet deep. His ability to discern depth in clarity in another medium was wanting. The same applies to scripture, and I do not say this as one trying to escape the idea of recent creation which I do believe but as one who senses that the depth of Divine perspicuity is a challenge to believers to grow, develop, and more.